Practice Table sheet 1 with this worksheet. Practice Table sheet 2 with this worksheet. Practice Table sheet 3 with this worksheet. 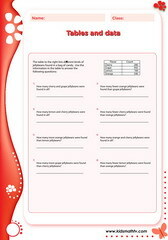 Practice Table sheet 4 with this worksheet. Practice Table sheet 5 with this worksheet. Practice Table sheet 6 with this worksheet. Practice Table sheet 7 with this worksheet. Practice Table sheet 8 with this worksheet. Practice Table sheet 9 with this worksheet. Practice Table sheet 10 with this worksheet. Practice Table sheet 11 with this worksheet.